I don't know about y'all, but I've pretty much given up on restaurant Chinese food. Stopped eating it for the most part. That's partially because there are so many other options these days -- Thai and Vietnamese, mainly. But I also avoid Chinese food because I'm invariably disappointed in it. Unless I'm in a big city like New York or San Francisco or Washington D.C. ... if I ask for spicy I get something that's about as daring as the gravy in an old-folks' home. A friend who's married to a Chinese woman explained it to me one time: "You're what they call lo fan," he said. "It means white rice. Look at you; you look like a redneck. Rednecks don't like authentic, spicy foods. They're dumbing it down for you." Today, very hungry, I stopped into a Chinese restaurant to order some Szechwan tofu with vegetables. It looked fresh and delicious but, once again, it was so benign that I would have fed it to a baby. I wondered: What can I do to convince these Chinese cooks that I like SPICY? And then I had an idea: I'd just been grocery shopping, so I went out to the truck and pulled out a fresh serrano chili and took it inside and asked to speak to the cook. With him watching, I bit off the chili all the way to the stem, chewed it slowly and swallowed without flinching. His eyes widened. "See?" I said. "I'm not lo fan. I want it hot. Please. I grew up with Mexicans -- I'm used to it." He took my entree back to the kitchen and whipped me up another. When he set it down in front of me I could smell that he'd added fresh ginger and I could see red pepper flakes coating the shiny vegetables like confetti. As I ate my wonderfully spicy food I could feel the cook and his cashier-wife watching me over my shoulder, as if I was some exotic animal that had wandered into their restaurant. "You want something to drink?" she asked. "No, thank you." I replied. "This is perfect." Mr. Hudler, we regret to inform you that your Man Card has been revoked. 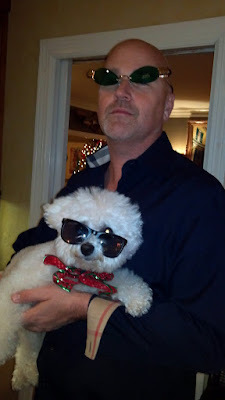 This is what you're reduced to when you go out partying with someone named "Big George." Though the movers don't come to Coconut Drive until the first week of January, I'm getting ready for them. I'm all by myself, and it's easy getting weepy as I sort through a quarter-century's worth of belongings. 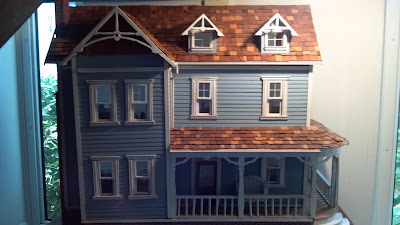 Today I cleaned out and repaired my daughter's dollhouse, which had been all but abandoned beneath the stairs for the past decade. It's a little girl's dream dollhouse, made for Haley's fourth birthday by her Grandma Wanda. Wooden floors, real cedar shingles, three stories high. 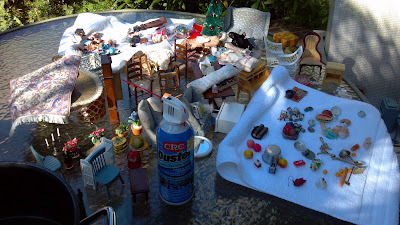 I took all the contents outside, to the patio, with a pan of Mr. Clean-and-water and one of those spray cans of compressed air. I cleaned it all, then sorted everything by room into Ziploc bags. Also fixed and glued lots of things that had broken over the years. I figured I needed to get this done. The movers will build a crate from wood, then seal it shut, and I'm guessing it will sit in the attic of our new home in Nashville for years to come ... probably until Haley has a family of her own. And on her daughter's fourth birthday, Carol and I will load it up into my truck and drive to wherever the hell she's living ... and we'll open it ... and Wanda's gift will be enjoyed for another generation. Oh ... wait ... What if she has boys and no little girl? I suppose the house could be used as a barracks for little plastic army men. But which soldier would have to sleep in the pink canopy bed? 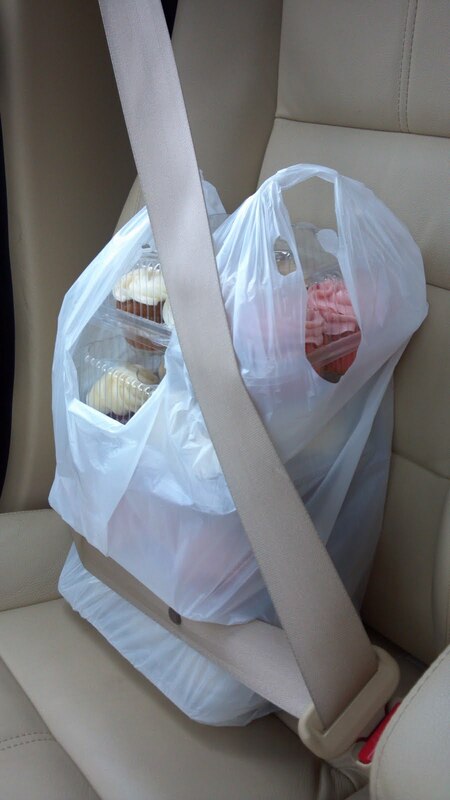 What to do when you're transporting three dozen cupcakes with no one to hold them.